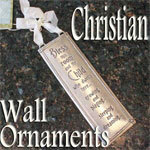 To hang on a wall, doorpost, above a bed, by a light switch... anywhere a special reminder or blessing is appropriate. This ornament is perfect to use as a baby gift! 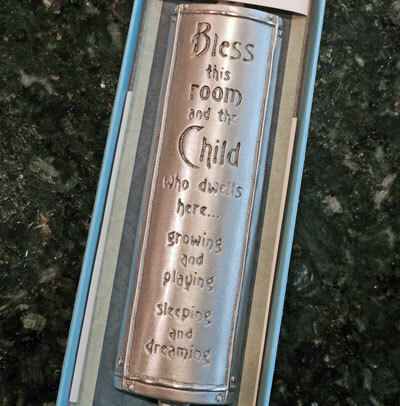 Child's Room Blessing... "Bless this room and the child who dwells here... growing and playing, sleeping and dreaming." Measures 4 1/2".